I love scrappy! At this moment I have a page block in the press waiting for the glued spine to dry and a cover drying under weights. My book cloth was made with a bright red piece of fabric I dyed. I’ll be thinking of you as I case-in my new journal tomrrow and trying to decide whether to name it or just number it as usual. Thank Shirley, I was looking on your blog this morning at some of the beautiful books and cover cloths you’ve made. I think I’ll try designing my own cloth next time. Hey Jana — these are WONDERFUL! Every one of them is beautiful. I have just about decided that whatever the journal is that I have, that will just have to do. Words from Henry David Thoreau keep coming to mind – Simplify, simplify. 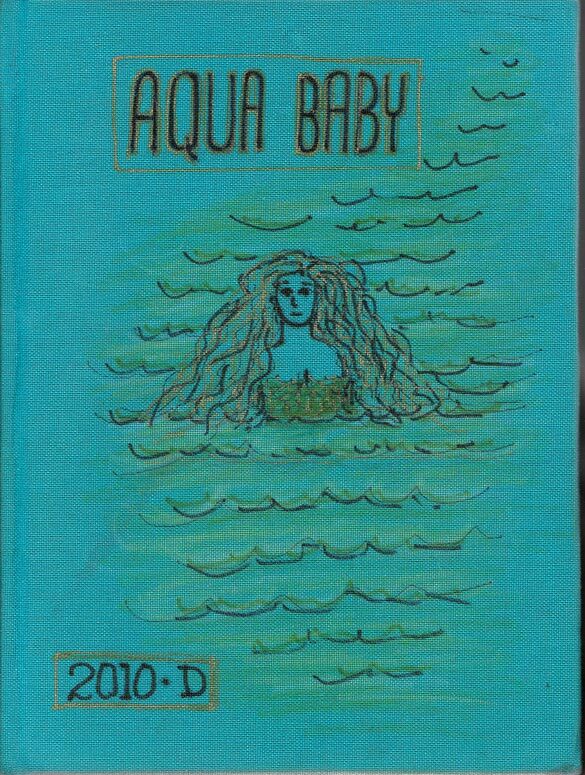 If I got started on making my own journals I fear I would never draw, paint, or collage again. The obessesive/compulsive part of me knows that I am easily distracted. That said, I am drooling all over my keyboard over your watercolor journals. 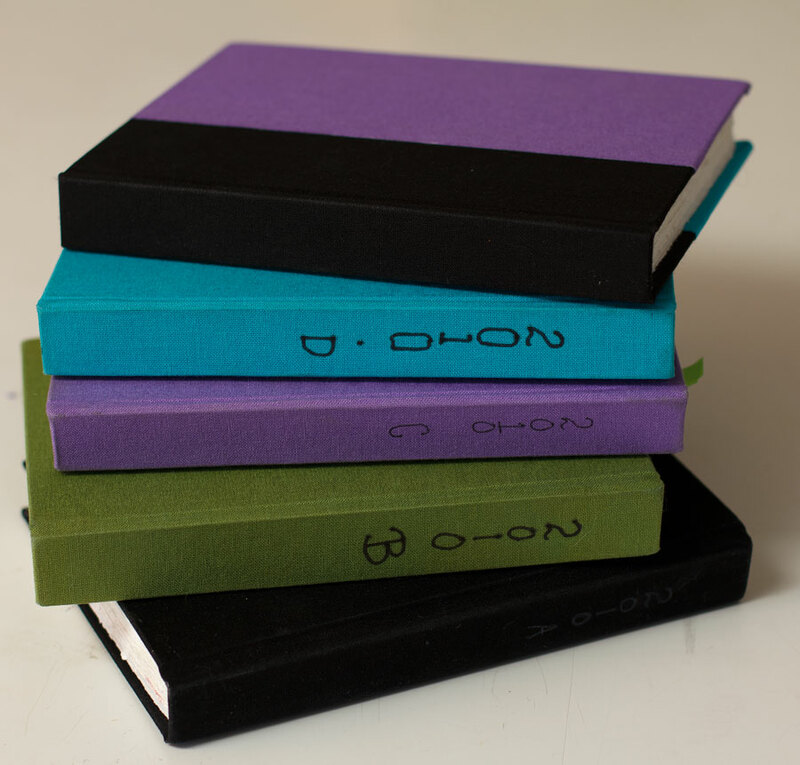 They are just so cool – and I too like the two colored scrappy journal. Hey, Jana, Scrappy looks great! I personally like the two toned cover! 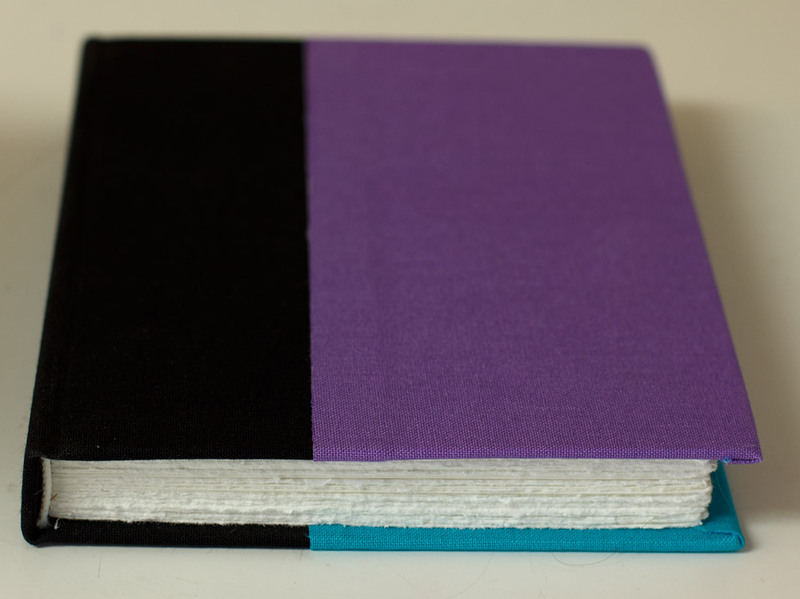 (Or 3 toned, I guess, including the binding). Thank you for providing the updated resources, too. I went through my old sketchbooks yesterday and the ones I liked best were the ones I’d made myself. NOT that they were particularly well made (one had a cardboard cover, another a cover made of fused plastic grocery bags!) but something about the making them resulted in a better feeling. Anyway, I’ve been wanting to try casebound and now you’ve made it easier for me…..I think I’ll give it a try next weekend….. Thanks for being so generous with information and inspiration! These are WONDERFUL, Jana, thank you so much for sharing with us! 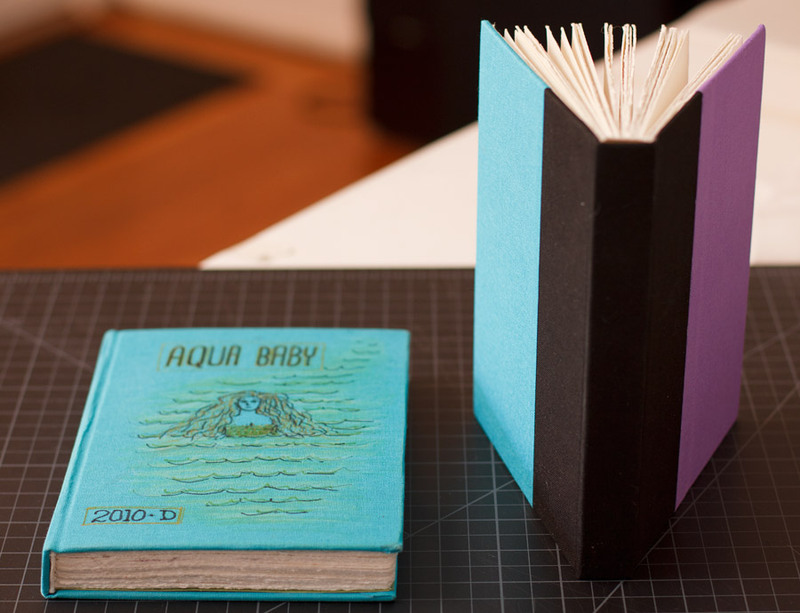 I have my husband making me a journal from your wonderful instructions. talents. Enjoy your blog so much. Hi Sue, I’m so glad to hear that your book worked out well. The pens I used on the cover were just an ordinary black sharpie marker and a gold uniball gel pen. I just bought some sharpie paint markers and will be trying them out on the next cover (very soon–I’ve filled my book and need to bind a new one). I usually decorate the book covers after I’ve filled them (just my own quirk) because, I think, they’ve sort of come to own their name as I’ve worked in them. Although in truth their names have come to me as soon as they come out of the book press.